Make your child happy by hanging this Toy Train Ornament carry large gifts just above his bed on the wall. 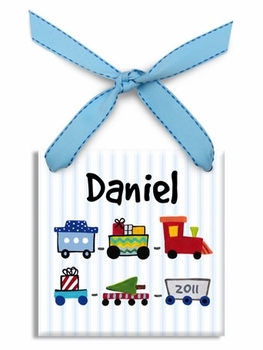 This sweet and cute ornament features a toy train at the center. 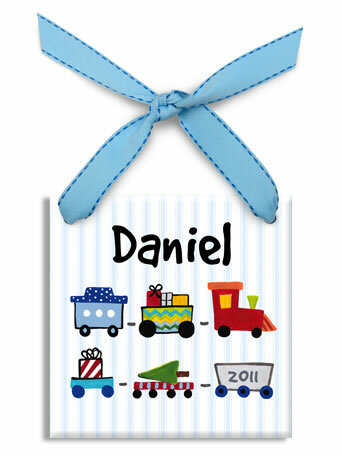 It can also be personalized by adding child’s name on the top. It is available in the size having 4.25" x 4.25" dimension and made up of ceramic. A perfect birthday gift, this enthralling ornamental piece will be a keepsake for every child which he/she would show to their children in the future.